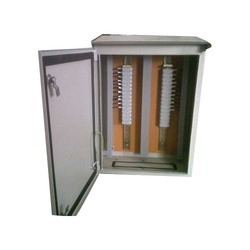 Widely praised for its unmatched strength, capacity, performance and service life, the offered range of Isolator Boxes is known to be highly acclaimed and asked for in the market. Making of this range is done in compliance with the set industry norms and guidelines, utilizing the finest raw materials and modern machines. This ensures the product’s standard of quality. For reasons of making the finest range of Push Button Stations available in the market, we engage in the utilization of high grade raw materials and modern machines, as per the set industry norms and guidelines. This ensures the product’s strength, capacity, precision, user friendly nature, performance and service life. In addition to this, the range is quite reasonably priced. 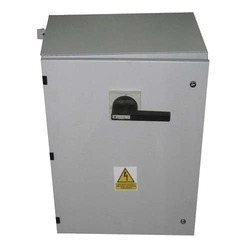 Being one of the leading manufacturers and suppliers of this commendable range of Push Button Boxes, we never compromise with its standard of quality. Thus we engage in the utilization of high grade raw materials and modern machines, in compliance with the set industry norms and guidelines. This ensures the product’s performance and longer service life. 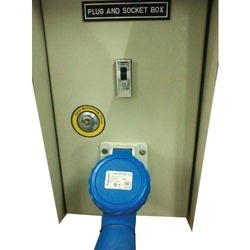 In order to provide maximum satisfaction to our clients, we engage in the utilization of high grade raw materials and modern machines, in compliance with the set industry norms and guidelines, for manufacturing this range of Socket Boxes. The offered range is known to be marked at the most reasonable rate possible, for reasons of providing maximum satisfaction to our clients. Being one of the leading companies, we are engaged in manufacturing, supplying and exporting a wide range of Terminal Junction Boxes. These Terminal Junction Boxes are easy to install and needs less maintenance. Looking for Isolator Boxes ?